MYSTERY STILL SURROUNDS the story of an English speaking teenager who appeared in Berlin last week, saying he’d been living in the woods for the last five years. The boy, thought to be around 17, has adjusted to his new life, according to The Telegraph. He appeared at Berlin’s city hall and said that he had been living in the forest with his father since his mother died in a car accident. He said that the pair had lived in tents and earthen dugouts. The boy said he couldn’t remember where he was from, and that he had followed his compass north after his father died following a fall in the woods. He walked for two weeks before reaching Berlin, he said. He old the authorities that his father called him Ray, but that he couldn’t remember his surname. He speaks English and only a few words of German. The Telegraph reports that he is now staying at a youth care centre, and has been visited by psychologists and linguists. Police have said that if they can find his father’s body they may be able to identify him using fingerprints. The boy said he buried his father in a shallow grave before walking to Berlin. What other amazing tales of survival in the wild are there? In 1989 Rochom P’ngieng disappeared into the jungle in Cambodia at the age of eight, and was not reunited with her family for 18 years. When she reappeared in 2007, she became the subject of a media circus. She walked on all fours, didn’t speak and didn’t want to wear clothes. It was reported in 2010 that she had fled back to the jungle, but was found a few days later. NGOs and reporters have repeatedly claimed that the woman did not live in the wild for 18 years, but rather she had lived in captivity and been a victim of abuse before escaping and being taken in by a family who believed she was their missing daughter. In 2007 a boy dubbed ‘Lyokha’ by police was found in the Kaluga region of Central Russia. He had been living with a pack of wolves and had wolflike behaviour and instincts. He was unable to speak any human language. He was taken to a Moscow hospital, but escaped and was never recaptured. In 1991 a boy was found living in the jungle in Uganda. It’s thought that John Ssabunnya had been abandoned or lost when he was around two or three years of age in the late eighties. He lived with a group of monkeys until he was captured and brought to an orphanage. The BBC reports that experts believe that it is one of the most convincing cases of a child being raised in the wild by animals. In 1991 Oxana Malaya was found living with dogs in Ukraine. She had been living with the animals for around five or six years and had picked up many of their traits. And what about the ones who weren’t quite what they seemed? In 2005 a man ‘washed up’ on a beach on the Isle of Sheppey. Police didn’t know who he was or where he came from. The BBC reports that after he drew a picture of a piano, he was place in front of the instrument, where he proceeded to play Tchaikovsky with some skill. After months of mystery and intrigue, he finally admitted that he was from Germany, and had arrived in Sheppey via the Eurostar after losing his job. In 2007 English man John Darwin turned up in London claiming not to know who he was. He had disappeared in 2002, reported missing by his wife Anne. He had last been seen canoeing near their home, in the North Sea. It soon emerged that Darwin had faked his own death, and that his wife was in on it. She has cashed in his life insurance policy and her husband lived in a bedsit next to the family home. He obtained a fake passport and travelled in and out of the country. The pair were sentenced to more than six years in prison each. Email “Living wild: Germany’s ‘forest boy’ joins long list of mysterious survival tales”. 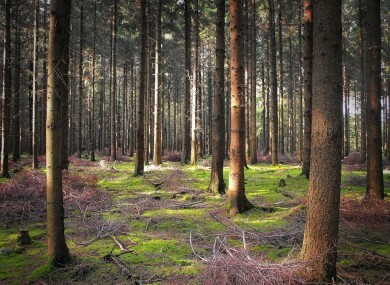 Feedback on “Living wild: Germany’s ‘forest boy’ joins long list of mysterious survival tales”.